Join the Baltimore Comic-Con this Friday, Saturday, and Sunday at the Baltimore Convention Center. Tickets are available online now! 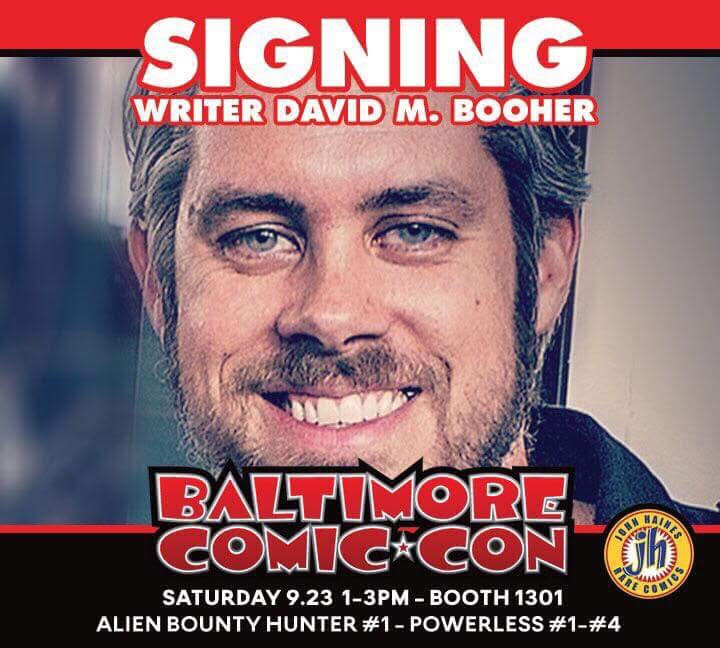 John Haines Rare Comics is hosting a signing in Booth #1301 at this year’s Baltimore Comic-Con, featuring David Booher, writer of Vault Comics Alien Bounty Hunter and Powerless on Saturday, September 23rd from 1:00 to 3:00. David is coming in from California for his first Baltimore appearance, so please stop by and give him that famous Charm City welcome. 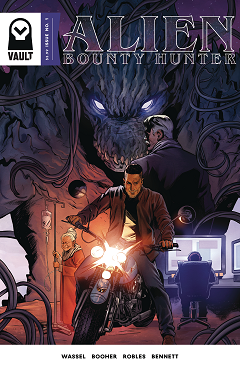 Vault Comics has teamed with Transformers franchise star Mark Wahlberg and his producing partner Stephen Levinson (Patriots Day, Deepwater Horizon) to produce the Alien Bounty Hunter comic book that is set to become a motion picture.